2. Specify a secondary category for your issue from the dropdown menu. 3. When you're done click the SAVE AND CLOSE button. 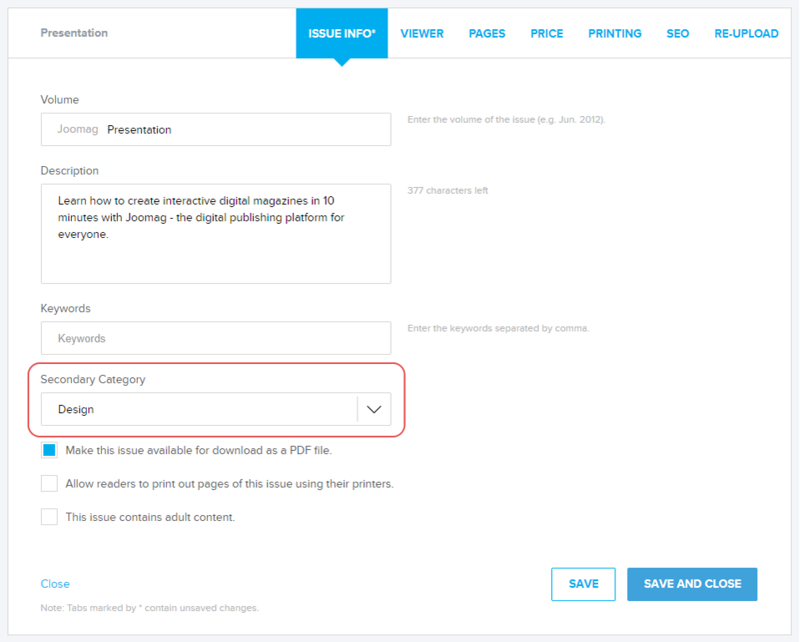 Learn more about specifying the category of the publication.